The most recent innovation of the automotive world is autonomous car. More recently, Audi re-innovating but not participate to make autonomous car, but to design a car that can think and learn like human beings. As reported by Speedlux on Monday, June 15, 2015, a car that will be created by Audi will work with computerized technology that simulates the human brain. To develop this huge and ambitious project, Audi will cooperate with Nvidia, a world-class technology company. The California-based company have helped design the auto piloted driving technology. 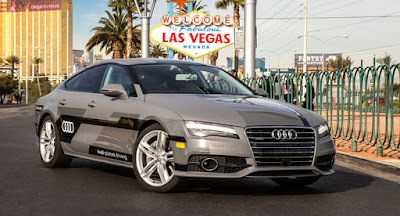 The autonomous A7, known as 'Jack,' served as a demonstrator for the artificial intelligence algorithms, programmed into the tablet-sized zFAS driver-assistance control that serves as the brain for managing its autonomous systems. This technology operates through various camera recording images. These images were analyzed by the processor. The processor is capable of studying objects and distinguish these objects. The whole process involves terabytes of data and must be completed very quickly, relying on an integrated Nvidia Tegra processor rather than sending the information into the cloud. While according GTSpirit, the system is so advanced because it has the ability like eyes, nose and mouth. This capability is used to detect and differentiate vehicles and other objects on the street.